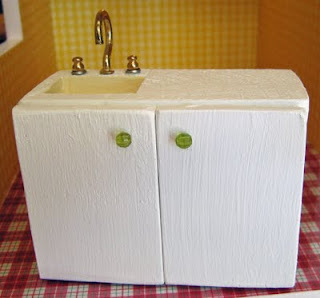 To make your own wooden doll house sink and cupboard is not hard if you can operate a scroll saw... if you can't, I think you could glue small pieces of wood around to form a sink, anyway, here are instructions on how to make this one! Wow! I love how this came out. Great Job! !